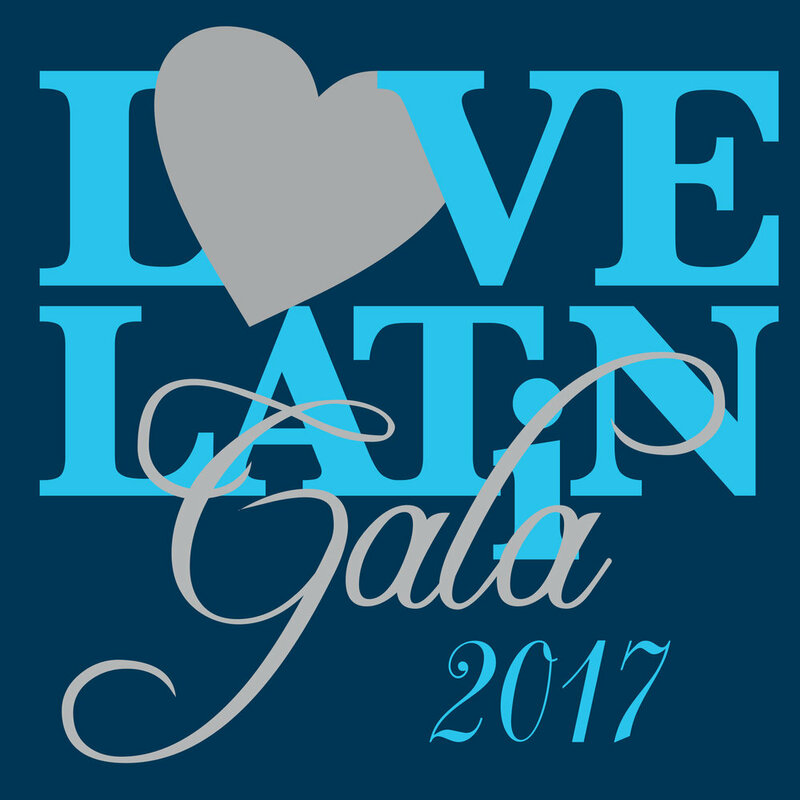 The chairs of the 2017 Latin fundraiser were inspired by Robert Indiana's iconic 'LOVE' design. They wanted the Gala's logo to evoke it without mimicking. Program Book Cover. The heart and 'Gala' were printed with silver foil. Invitation. The heart was printed with metallic silver. 'The Sky Is The Limit' headed the brief for this Magritte-inspired logo. The client wanted a mark inspired by vintage Italian posters and the film Roman Holiday. 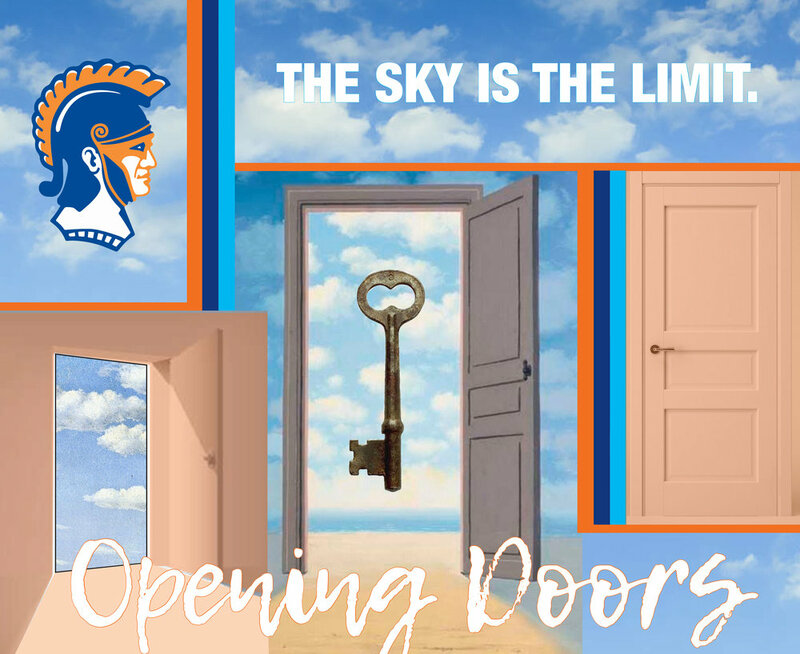 Facebook Cover Photo incorporating the Opening Doors theme. The door on the invitation was die cut. 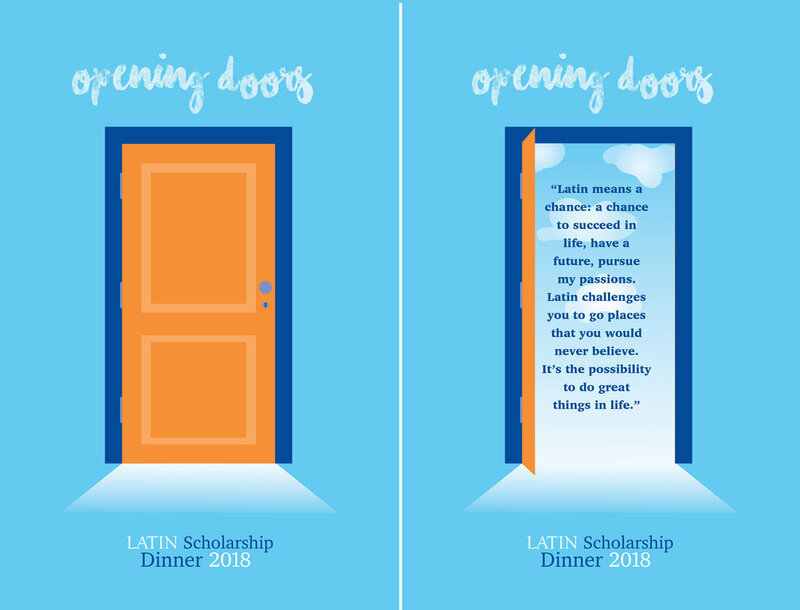 When opened a quote from a scholarship recipient was visible.